Give the gift of Layla – to somebody you like. 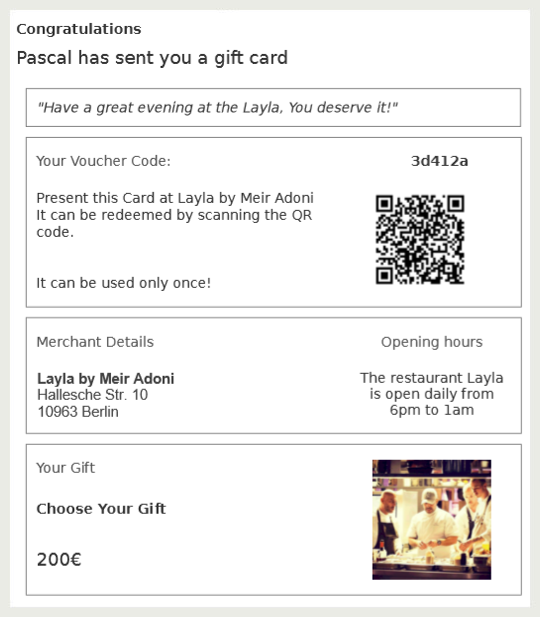 Just choose a value for an open gift card which can be spent at Layla. You can select the online payment option you like and immediately download the gift card or send it directly to the recipient.